A man reads on a digital tablet. As a child, Christian Boer had difficulty with reading and writing. The now 33-year-old Dutch artist said he was eventually diagnosed with dyslexia, which explained why he often reversed letters in his head and why sentences on the page often ran together in a confusing blur. In his last year of art school in 2008, he began wondering why people with dyslexia had so much trouble with words but no trouble at all recognizing objects, even if they were tipped upside down or turned around. In a stroke of inspiration, he realized he could design a font that more closely resembled 3-D objects, making it easier for dyslexics to read. About 10 percent of the population has dyslexia, according to the International Dyslexia Association. This means their brains struggle to decode words on a page, making it a challenge to read and write. 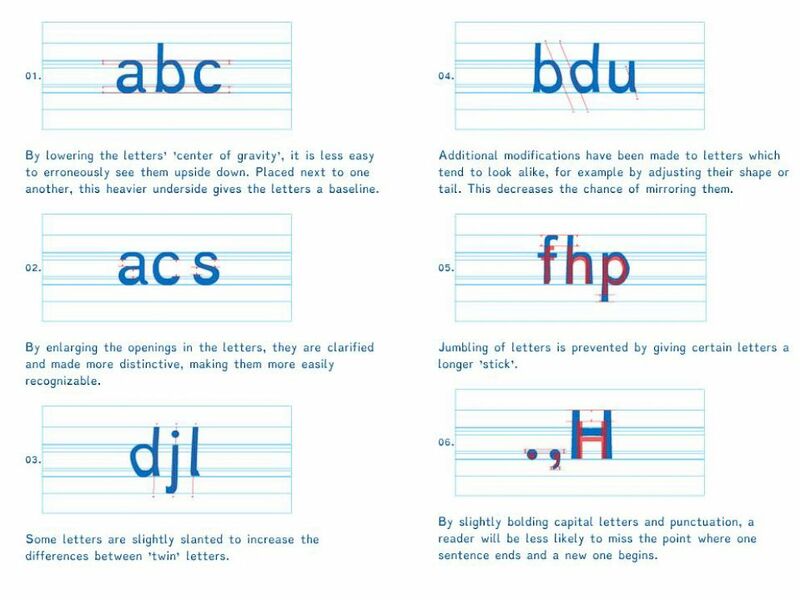 A 2013 Spanish study looked at whether changing some key features in fonts would help dyslexics conquer some of their problem with interpreting the written word. The researchers found that serif fonts -- which include little flourishes on the ends of letters -- and fonts where letters vary in size and spacing were the most difficult for people with dyslexia to read. To address some of these problems, Boer designed his new font, Dyslexie so the bottoms of the letters are thicker and bolder. "You don't flip them around in your brain so they are easier to keep track of," he explained. Boer also changed any character that was similar to another character to avoid confusion. For instance, he redesigned the "s" so it was less likely to be mistaken for a "5" and he enlarged the bubble in the center of a lower case "e" so it looked less like an "o." Because dyslexics tend to skip over pauses in sentences, he also enlarged the period and comma and made capital letters extra bold when they appeared at the start of a sentence. "It worked for me right away and when I sent it out to others it worked for them too," he told ABC News. Nearly 100,000 people have downloaded Dsylexie so far, confirming the need for such a font. However, Ben Shifrin, vice president of International Dyslexia Association, said there is no single font that will work for every dyslexic. "What we do see for some students is that fonts make a difference, but some don't," he said. It certainly can’t hurt to try using a specialized font for a month or two if you're dyslexic, Shifrin said, noting that some people will see a huge improvement and some people won't. Studies also show that some dyslexic people benefit from using traditional fonts such as Helvetica, Courier, Arial and Verdana. Boer said he is gratified that so many people have found using Dyslexie helpful. He said businesses and schools all over the world have begun using it, too. Several books have been printed using the font, including titles written by the actor Henry Winkler, who is also a dyslexic. "When I first started this I thought it was a graduate project that would just sit on the shelf," he said "It's a most beautiful thing as a graphic designer when you can help people with their lives."